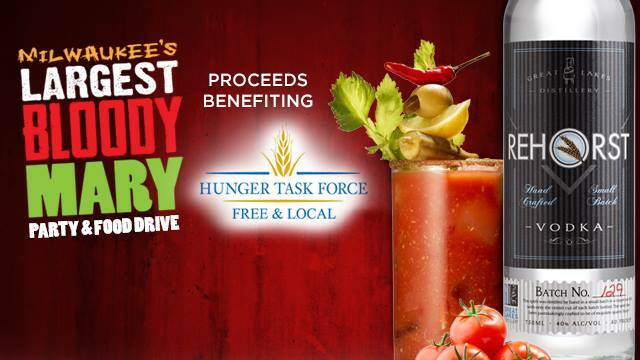 Drink for the hungry – a portion of proceeds from our Bloody Mary sales go to the Hunger Task Force, Inc.! Free admission, but we do ask that you please bring non-perishable food to donate to the Hunger Task Force. For every 3 items of non-perishable food donated, guests will receive a free raffle ticket. We will also be accepting cash donations for the Hunger Task Force. 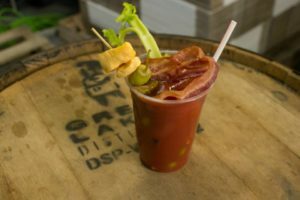 * Food from Great Lakes Galley & The BACON Co.
* NEW for 2018 – beer chasers! Check out our Facebook event for updated details! **Due to the large attendance at this event, there will be no tours on this day!